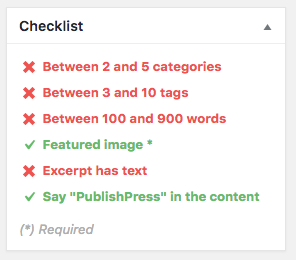 The Content Checklist add-on allows you to create custom items for your checklists. 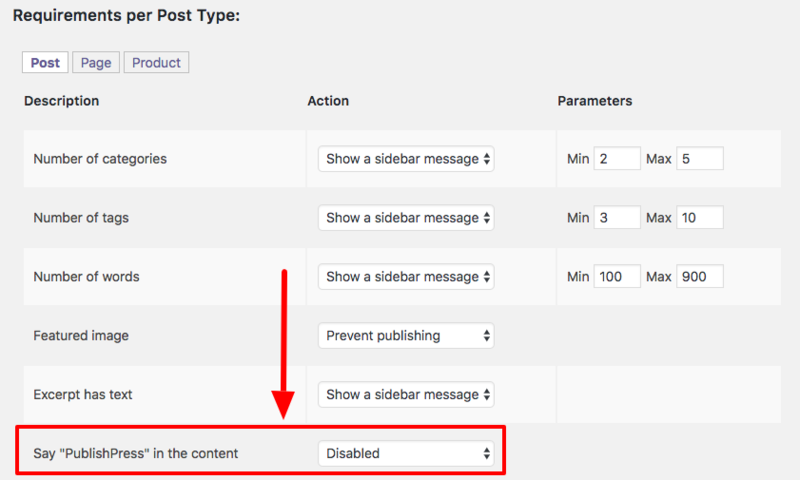 In this guide, we’ll show you how to create those items using the PublishPress admin area. Please note: this tutorial will require you to write some code. If you would prefer to use the PublishPress admin interface, please follow these instructions. 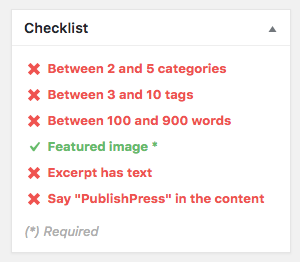 There’s a sample plugin on Github called the PublishPress Checklist Plugin Bootstrap. This example plugin will automatically check that your site’s authors have included the word “PublishPress” in their main content. Publish this new plugin and an extra requirement will become available to you, “”Say PublishPress” in the content”.